PowerA is a company that’s always intrigued me with their wide range of products for various game consoles, particularly the Nintendo Switch. All I have to do is walk into a store and go look at the various controllers and accessories to see a vast array of products from the company, ranging from the more streamlined and to the more wacky (like the Super Mario Odyssey-themed wired controller). But, with the Switch, one of the things I’d lamented was the fact that all of their pro-style controllers were wired, but that’s not the case anymore! I recently got my hands on their new Enhanced Wireless Controller ($49.99 US) and Wireless GameCube Controller ($49.99 US), and I have to say that, so far, I’m very impressed! 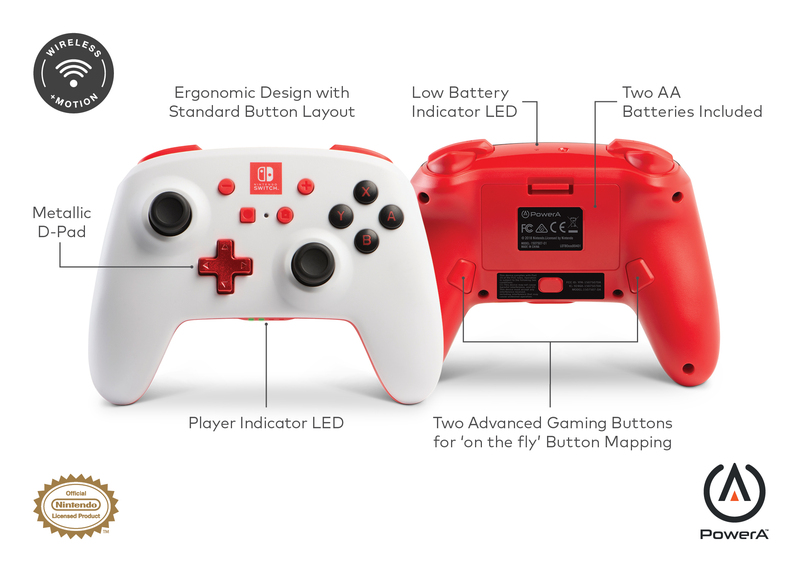 Now, some things to keep in mind: while both of these controllers are indeed wireless models, there are a few changes that set them apart from the official Nintendo controllers out there. For starters, neither of these models features a built-in rechargeable battery, meaning that instead you’ll need to make use of some AA batteries (a set comes included, thankfully). Also, neither model has the HD Rumble feature of the Nintendo Switch, which probably won’t bother too many people but it’s worth pointing out as its absence can be noticeable, especially in games that make avid use of it. The controllers were, as you’d likely expect, pretty easy to set up and get synced with my Nintendo Switch console. The included packaging does tell you that you’ll need a certain system software version to recognize the controllers, but I keep my Switch pretty up-to-date so this wasn’t an issue at all. The “hand feel” of both controllers is…quite good! Compared to the official Nintendo versions I did notice that both the Enhanced Wireless Controller and the GameCube Controller felt a bit lighter. This didn’t give me the impression that they were flimsy or built to a lesser standard, though, just that I noticed that they seemed to be not quite as heavy in my hands. I’d say their weight is pretty comparable to playing a game with the Joy-cons in the Joy-con grip. 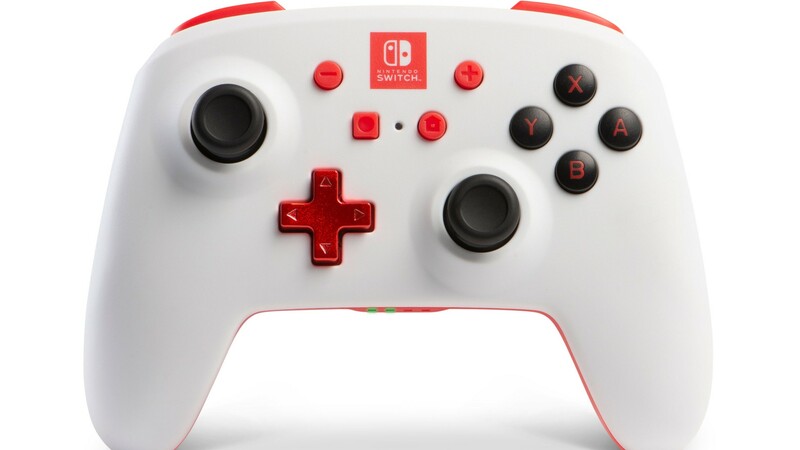 The buttons were slightly stiff for the first few minutes of using them, but that’s normal: most controllers require a tiny bit of time to be “broken in.” I never had any issues with responsiveness on either controller and overall felt that whether I was using one of these, the official Nintendo version, or the Joy-cons in their grip, the experience was all very seamless, which is what you would hope for. While you most definitely can use the GameCube Controller for any game you want to play, this specific variant was designed with Super Smash Bros. Ultimate (which, coincidentally, releases today!). The idea is to give you that classic feel you had back with Super Smash Bros. Brawl on the GameCube, but with the responsiveness and polish of a more modern design. Still, even while using it to play The Legend of Zelda: Breath of the Wild, I found that the GameCube Controller performed admirably and was more than up to the task! Both controllers, but particularly the Enhanced Wireless Controller, offer a solid alternative to Nintendo’s own first-party options. You’ll save $20 over the official product, but the Enhanced Wireless Controller has a couple minor trade-offs in the process. Those who like the HD Rumble feature or play a lot of games that make extensive use of it may be slightly disappointed to find that it’s missing, and those who want a built-in rechargeable battery may dislike having to use AA batteries. However, it’s worth pointing out that the battery life on both of these models is pretty good, as so far I haven’t had to replace the batteries. Also, you can get some rechargeable AA batteries if you don’t want to be throwing away dead batteries from time to time. Then, of course, there’s the fact that replacing some batteries is much faster than waiting for the controller to charge up when the battery is depleted. In this case, grab some new AA batteries and jump back in the game! So, the question is ultimately whether or not these controllers are worth picking up rather than one of the first-hand ones from Nintendo. And that, I think, is a definite yes. Both are officially licensed by Nintendo, which is certainly a good thing, and you’re saving a good bit of money in the process with some very minor trade-offs. 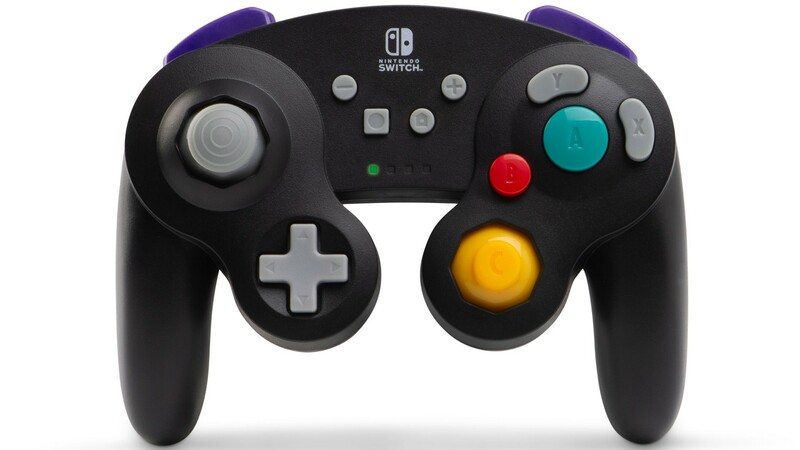 Also, there’s no wireless GameCube-style controllers offered by Nintendo at all at this time, so if that’s something you’re after, then this is definitely your best bet! PowerA is a solid company with some solid products, and as far as these two types of controllers go, they’re well worth your investment (and would make great gifts over the holidays! ).